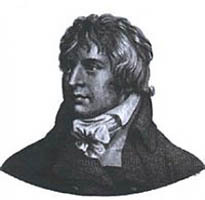 František Xaver Dušek (8 December 1731 – 12 February 1799) was a Czech composer, harpsichordists and pianists. This entry was posted in Dušek, František Xaver, Piano, Sonata and tagged František Xaver Dušek, Music score, Piano, Sheet music, Sonata on 20.05.2018 by admin. This entry was posted in Dušek, František Xaver, Piano, Rondo and tagged educational material, František Xaver Dušek, Music score, Piano, Sheet music on 25.12.2016 by admin.